Neuromarketing is an advanced brain science which has the ability to make an impact on marketing on customers. Neuromarketing can be considered as one of the most effective brand marketing strategy nowadays. For ages, sellers and marketers have been wondering about attracting more and more consumers, but their techniques were traditional and boring. Surveys and group discussions have been effective more or less, but neuromarketing is considered efficient nowadays. Neuromarketing is certainly an art used by modern marketers which is also very very reliable. Neuromarketing gives your word to aim at the unconscious wishes of customers, which are evidently exposed by assessing the brain. This is a recent approach used by the researchers to get a better understanding of the marketing environment and consumers. Like medical technologies like functional Magnetic Resonance Imaging (fMRI), eye tracking, behavioral experiments, sensor-based methods, body signal measures (biometrics), electromyography (EMG), brain signal measures (neurometrics), and electrical activity/electroencephalography (EEG) are being used to analyze changes in activities in various parts of the brain, the decisions made by the consumers, and also what part of the brain is telling them to do that. 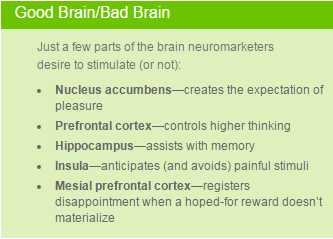 A neuromarketing promotion depends on a particular person. Usually normal marketing campaigns largely define its customers and lots of methods are used in that case – customer records, files, data collection, surveys and so on. Neuromarketing concentrates on specific marketing analysis subjects. Few dozens of test subjects are okay, and this is usually aimed at a certain phase of time. The popular neuromarketing concept was built up by psychologists at Harvard University in the year 1990. The science is based on a model somewhere the major thinking part of human activity (more than 90%), including emotions, take place in the involuntary area that is under the levels of awareness. This is why the perception scientists of the market are very excited about learning the methods of effective handling of the subconscious brain actions. Studies have been going on to analyze the scientific explanations found till now. Neuromarketing is a sub-sector of neuroeconomics, which has come into sight from the intersection of boundaries between psychology, economics, and neuroscience. 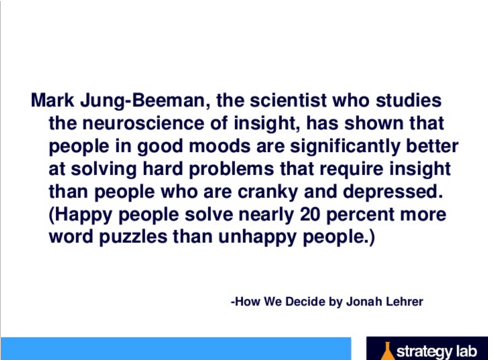 Neuromarketing offers us a better understanding of emotions, irrationality, decision making process, priority of choices, and our economic behavior. It also helps us to evaluate the marketing efforts and positive and probable outcomes from the present and future customers. 1. Customer Management, 2. Product Management and 3. Brand Management. fMRI is the newest technology among the methods I have mentioned here. This can track changes in neural activities and brain function of human being. This method can also visualize the neuroanatomical structures which are greatly in the process of complicated information dispensation. In this system, a test subject is used in a MRI scanner. 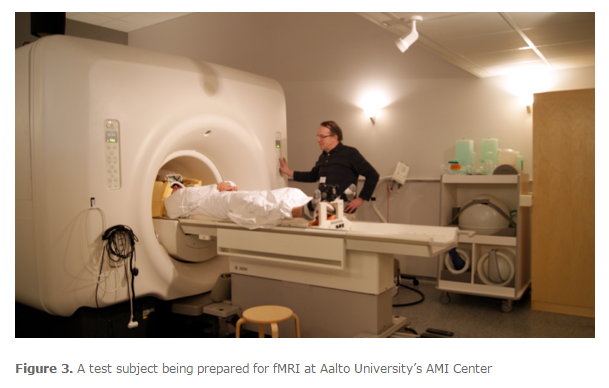 The scanner captures a sequence of baseline images of the brain area of particular interests. The interesting point is this can measure both the time like before performing a cognitive task and during the performance. Like when we watch a promotional ad of a definite brand, we should consider about the thoughts that can arise in that brain-region. The Blood Oxygen Level Dependent or BOLD technique is the most common among the fMRI techniques. This method can easily identify brain regions with an increased level of blood flow. That means; the technique can make an assumption on the high neural activities. So, during a promotional ad for any brand or product, one’s brain gains extra oxygenated blood flow than usual. The most beneficial fact of fMRI is that it can make us visualize deep brain structures, particularly the ones greatly involved in emotive responses. 1. People love stories. Generally promotional activities must consider the cases that people usually face. For example, mobile operators can create amazing and emotional promotional advertisements for their customers all around the world. Communication is a must in today’s society, and they can make beautiful stories in order to reach more potential customers. 2. Be visual. Process and decisions can be made without making people aware of the fact. Podcasts, webinars, videos, graphic representations can make a huge difference in your branding strategy. 3. Go for the right emotions. People love to get emotional about things. If you are selling products which make them emotional, then bang on! You, my friend, are going to sell a lot of products sooner or later. Emotion forms a chemical alteration in our brain. Our neurons are connected with a modified speed. And usually we do not retain any information that is not attached to an emotion. 4. Do not make yourself a priority. Customer is definitely not interested to know about your company’s history, they want to know their benefits because they are paying for your products. Talk about them, not you. Show them you are interested to help them by selling them your products- that is the magic. 5. Messages should be short and snappy. People these days do not have much time and they like to the point messages and stories. For example, a homepage with a good headline and summary catch sight of the visitors with no trouble. 6. Have an amazing start with a grand finish. You can use simple outline for your campaign. It is enough if you are making your point valid. We know that memes are quite viral and popular among the web surfers. But the philosophy of memes is more extensive and necessitates superior acknowledgement. A customer is always looking for an enlightening context- and then the customer relates the product to the existing product and statistics. Fashion, comic book characters, blogs, magazines, brands, songs, melodies – everything has its own identity. Everyone is fond of rewards. Zane Claes, a blogger and game designer, claimed that this power has been used largely in video game strategies. Most of the time, video games use a core loop. A task is repeated there again and again. And this is why video games make us more focused and also has the capability to build a habit. In this repetition process, two principal neurochemical reactions function: 1. Adrenalin- it is released when any act of overcoming a challenge is occurred, 2. Dopamine- it is released in expectancy and while obtaining the award. 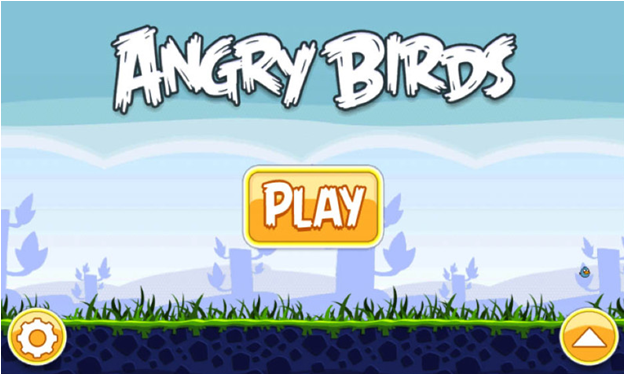 Angry Birds and Call of Duty – both of the games utilized neuromarketing strategy to create a habit, in a brilliant way. Neuromarketing does not offer you an OK service, rather it is more likely to be engaging, charming and appealing altogether. Your brand logo is a key factor in branding. Some people say that logos really do not matter. It is all about how you work, what your areas are – but the thing is, your logo helps you reach an extended market and also gain trust of the users. That is, important. Your logo must be used everywhere- like in your email signature, your custom blog posts, and social media profiles. You can use the same profile picture in the all the social media profiles. It is more effective that way. When you will be running any particular event like a webinar, or a workshop- make a clear strategy. Make sure that you are getting responses from the right people. Gain their trust by notifying them about the brilliant initiatives you are taking. Keep sharing, take their email IDs and inform them at least three times before starting the event. Content represents your online presence. Fonts must be readable because the content is the core to your marketing. Design is valuable, too; but your readers do not understand what you are talking about- you are doomed! You can play with the fonts that you are using. Make it bold, italic, underlined- when needed. Take advantage of Canva. (www.canva.com) It allows you to build custom pictures with a nice collection of Google fonts. Make the most of quotes, bullet points, key points, features and images. You do not require posting serious blogs – you can totally make them entertaining and educational at the same time. Readers usually move their eyes from left to right and top to bottom, just like reading a book. Remember that to enhance the readability of your blog or content. Confidence will reward you with a lot of followers. But… how to prove that you are confident enough? Well, in this case, you must study a lot, gather information altogether, research your materials and finally go for the finalization. When you are presenting yourself in front of a lot of people- you might get shaky and it shows that you not positive about your presentation. This happens when you are promoting your business products or services in public, offline. What about online? When you are writing a blog or an e-book, you must sound confident. When you collect info, research statistics and show a perfect record- your readers will be impressed. Use statistics. Data. A lot of useful data. Engaging contents make your business precious to others. About 250,000 products are being launched in a year. It is shocking that the products approximately have a regular 85-95% failure rate. Building relationships is noteworthy. When you talk, you talk about things you already know. But when you listen, you may learn a lot of new things you did not know before. Getting to know individuals is a key factor. You should always know different kind of personalities. What their favorite food is, what their favorite color is, what is the font that they like- it will help you eventually. And specially kids and adults/older people (>60) will make a terrific change in your business. Make an effort to learn from them. Make your business sustainable; do not market your product for short term benefits like “this is nice to own”. We like to buy products that remind us of the sweetest memories or moments. So your branding should be special and noteworthy. Not like other fake products out there. Make your venture creative. Make it unforgettable. For example, Black Friday has been recognized as a great communal event globally. Individuals already make a plan for grabbing the grand deals available on the Black Friday. Expectations might give a boost to your big occasion. From neuroimaging to market research – neuromarketing is getting involved everywhere. Neuromarketing is expanding because it has been proved that customers make decisions based on emotional responses, and not consciously. Technology has been changing rapidly, and neuromarketing is becoming more affordable and measurable. Emotiv was founded in 2011, and it has been functioning on EEG headsets for research and gaming uses. These devices are easy to use, portable and wireless. In addition, it is affordable to customers even. Just one standard EEG test was used to ranging from $100 to $3,000(the advanced ones). But you know what; you can get additional offers for the devices only from $300 to $500. So a lot of users can access to this newly formed area of marketing with no trouble. SensoMotoric Instruments, located in Germany, has created awesome resolutions for facial tracking and eye movement. SMI Eye Tracking Glasses are customized for portable research in real-life events rather than theoretical ones. Eye Tribe has developed a device for only $99 which can perform screen-based investigation and these can be used for modernization like connecting to mobile phones, tablets and computers. Web-supported remote testing services are rising; usability of software and bug testing can be related to neurosearch at the moment. Synetiq, a company based in Hungary, is playing a major role in creating an international tester society. Organization can arrange their personalized tests, upload materials, and then decide on research partakers from the society. Then EEG headset, heart rate sensors, eye tracking gadgets, and skin conductance sets are sent to test the partakers. Data are collected and analyzed. After that they are made available for testing the clients. Advanced technology has also prepared geographical and statistical discrete samples accessible. These days, even software companies are making their APIs and SDKs available for developers in order to receive more innovative results. Frankly speaking, the reply to this question depends on the purpose of the research. If the intention is to detect what is dear to the consumers, then the perceived value of the purchase decision is accomplished. At that time, the research would be logical and ethical. If the intention is wrong, that is to mislead the consumers into forcing into a purchase decision that would not provide them with any kind of particular perceived value, and then the research would be one hundred per cent immoral and unethical. Neuromarketing is simply a dimension tool. It can do harm by itself. On the other hand, if an item for consumption is destructive, like tobacco or a sky-scraping interest credit card, and diplomacies are used to manipulate more consumers to pay money for on basis of neuromarketing, that would be unethical. Coursera offers a beautiful course on neuromarketing named “An Introduction to Consumer Neuroscience & Neuromarketing”. Learn about attention, emotions, feelings, liking, wanting, memory, sensory neuromarketing, consciousness, neuroethics and more. Another source can be NMSBA (http://www.nmsba.com/education). This entry was tagged brain science, branding, marketing, neuromarketing, technology. Bookmark the permalink. has sharedd tһіs grewt article ɑt at this time.